Reversible Apron Pattern Ties in the Front or Back. Make sure to our complete selection of Apron Sewing Patterns! 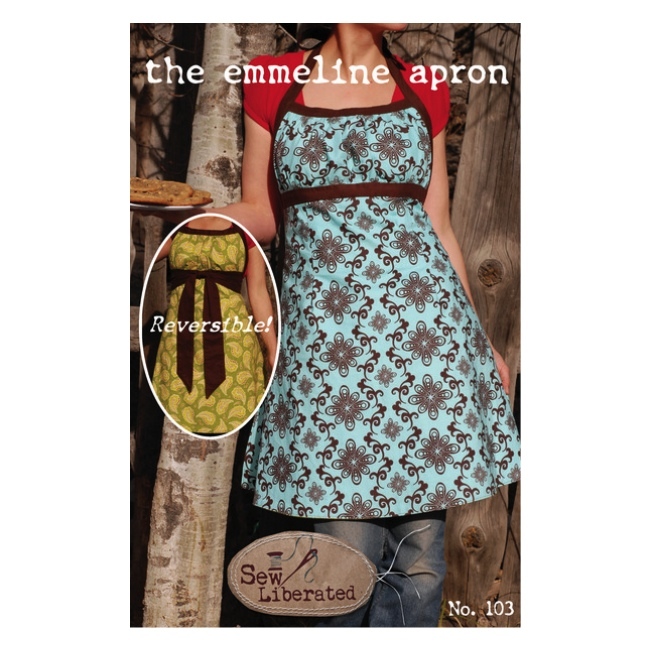 The Emmeline Apron Pattern from Sew Liberated is a completely reversible apron that can be tied in the front or back. Wear as a stylish coverup in the kitchen or as a trendy fashion layer with jeans. Includes easy to follow instructions with diagrams and photos. Apron pattern is one size fits most. Includes full size pattern pieces.